The Drew Pearce directed action crime thriller stars Jodie Foster and Sterling K. Brown. In the year 2028 in Los Angeles, riots break out over clean water. Waikiki (Sterling K. Brown) has always ignored his dreams to support his younger brother Honolulu (Brian Tyree Henry), but goes back to robbing banks despite getting out recently. The heist goes wrong and Honolulu requires medical attention. Waikiki makes a call to a nurse (played by Jodie Foster) who runs a secluded hospital for criminals masquerading as a hotel. With the help of her health care professional known as Everest (Dave Bautista), the nurse has her hands full with an obnoxious arms dealer known as Acapulco (Charlie Day), an assassin named Nice (pronounced like the city in France and portrayed by Sofia Boutella), and an incoming arrival of the biggest crime lord in Los Angeles by the Wolf King himself (Jeff Goldblum). The hotel follows a strict protocol with rules and memberships that have been reinforced for over twenty years, but The Nurse is willing to risk her closely guarded sanctuary possibly becoming a war zone when she breaks the rules for a cop named Morgan (Jenny Slate) who is somehow connected to her past. From the co-writer of Iron Man 3 and Mission: Impossible – Rogue Nation, Hotel Artemis is not only the first time Drew Pearce has been the sole contributor to a film’s screenplay but also the first time he’s directed a feature film. The dystopian action crime thriller boasts an incredible cast. This is Jodie Foster’s first on-screen role in five years (her last was Neill Blomkamp’s Elysium in 2013) and does wonders in the sassy, crotchety role of The Nurse. It’s a meaty role for Foster as she gets to shuffle around, pretend to have asthma, and clutch to her anxiety books on tape all while griping about it just being another Wednesday. The Nurse has a heavy past that has kept her chained to this hotel for the past two decades and Foster often brings that to life with watery eyes and a smirk on her face. After being the villain in the Pacific Rim sequel earlier this year, Charlie Day leaps even further into sleazy brilliance as Acapulco in Hotel Artemis. Day is cocky and mouthy as Acapulco as his actions are only intended to benefit himself. 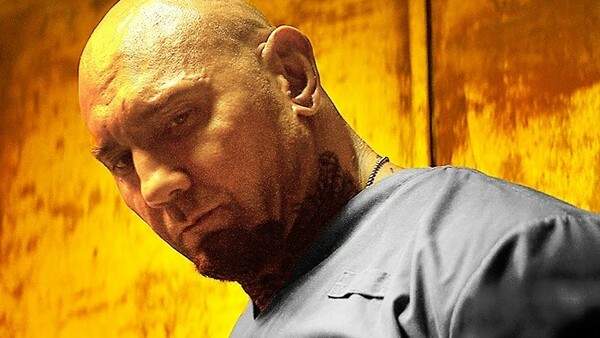 Dave Bautista gets to be the muscle here, but he has enough humorous one-liners about his weight and his job title to make him memorable. This is what his role in Spectre should have been: an entertaining powerhouse. The chemistry he has with Jodie Foster is based on this mutual kind of “respect your elders” mentality, but they argue with each other like they’ve really had this connection forever. Jeff Goldblum squeezes as many quirky Goldblum traits as possible in the short amount of screen time he has and Sterling K. Brown has a strong outing as a guy who has always put his family before anything else, but Sofia Boutella should get the most praise here. Nice carries this mysterious quality to her character as she’s obviously been hired for a lethal job, but she has connections to Waikiki. Her reputation of only killing important people all over the world is called into question considering how close she is seemingly to the only person she’s come into contact with who she hasn’t killed. Boutella has the best action sequence in the film taking out a massive number of attackers in a tight corridor that channels the hammer sequence in Park Chan-wook’s Oldboy. It’s a shame Boutella hasn’t found a franchise to propel her status as the next big female action star because her skill could easily surpass the likes of Milla Jovovich. The cast is what makes the film worthwhile and the few memorable one-liners Hotel Artemis throws at you aren’t enough to save it from feeling like a subpar film that has sat on the shelf for years. The entire hotel for criminals concept feels like it was lifted from John Wick and the Los Angeles late-night curfew combined with a deadly riot seems like it was borrowed from The Purge films. The film doesn’t make the effort to move past those comparisons as it seems perfectly comfortable being lackluster and forgettable. With a hotel full of criminals, you don’t really have anything invested in who lives and who dies. The big reveal is something you think of as soon as the movie starts diving into the past of a certain character, even though it's one that feels like it’s not something that could be kept under wraps for over 20 years. And yet there it is. Despite having this occupation at this location for this long, The Nurse is terrible at saving lives or preventing absolute chaos. Many have pointed out that she seemingly experiences this every Wednesday, but if that’s the case it’s a miracle The Wolf King allowed her to be functional for this long unless he just has a soft spot for her which doesn’t fit what little we see of the character. Several characters throw their lives away during the finale for no reason. So while we could have seen at least twice the amount of survivors, we’re left with half that because certain characters decide to be awkwardly heroic solely because it’s the end of the film. Hotel Artemis has this Smokin’ Aces meets Steven Soderbergh’s Haywire element that allows you to get some enjoyment from it. A terrific cast adds some flavor to an otherwise bland concoction. Its familiar aspects to other films scream and explode louder than any action sequence or witty one-liner can be executed. The film is unbalanced and sloppy with uneven characters and baby elephant tranquilizers that are lifesaving one minute and life threatening the next. These criminals are juggled around as clumsily as the roster of Suicide Squad. 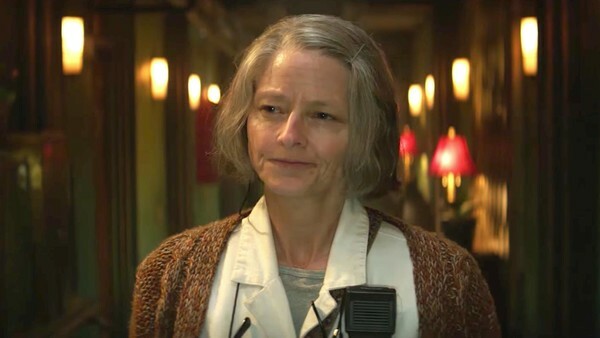 Ultimately Hotel Artemis is a lackluster generic knockoff at its best and a conventional wild-goose chase at its worst. Maybe worth a rental, somewhere down the line. Film critic located in Houston, TX. Challenged a monkey to a knife fight once. Rode a squeaky tricycle buck naked through a haunted forest twice. Ate unicorn meat to gain immortality, but stepping in cat barf still makes him cringe. He's also a sporadic writer of short stories, draws occasionally, and has a rabid infatuation with the Dragon Ball franchise.